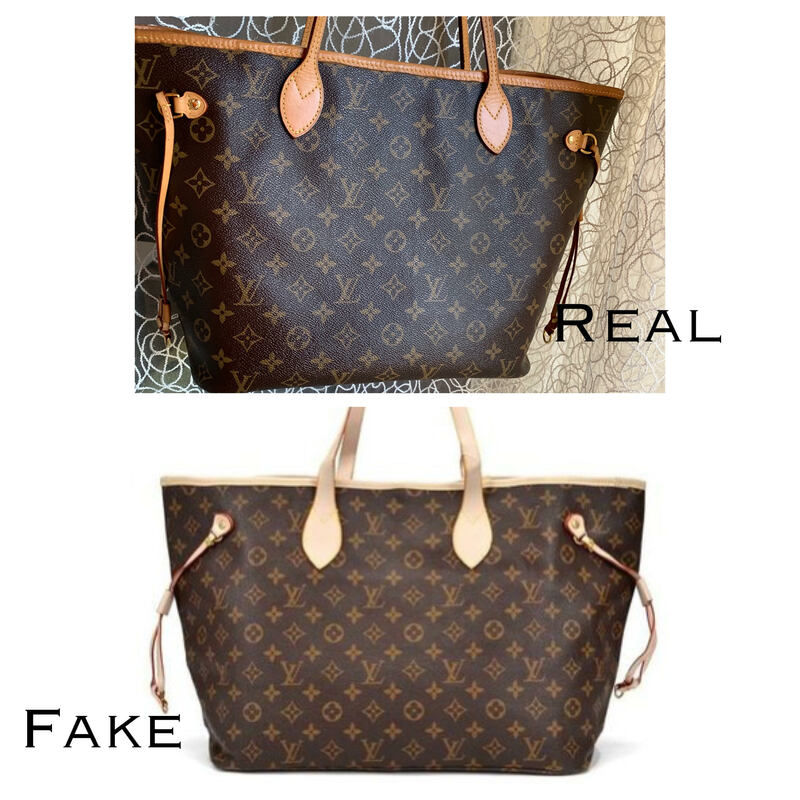 ANSWER FOR INSTAGRAM PICTURE: NUMBER 1 IS THE FAKE LV NEVERFULL. 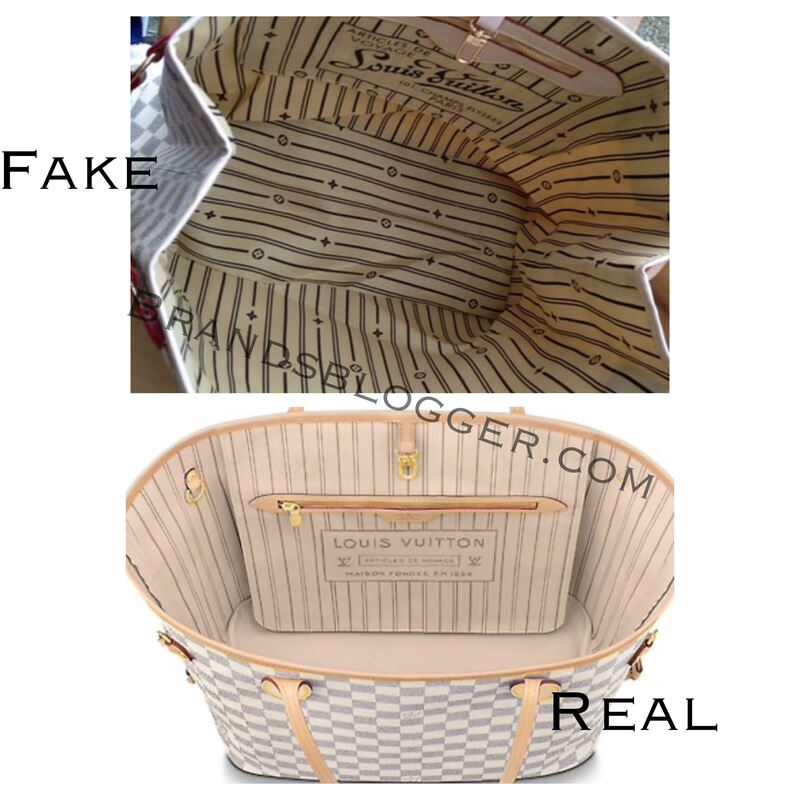 How To Spot A Fake Louis Vuitton Neverfull Bag. 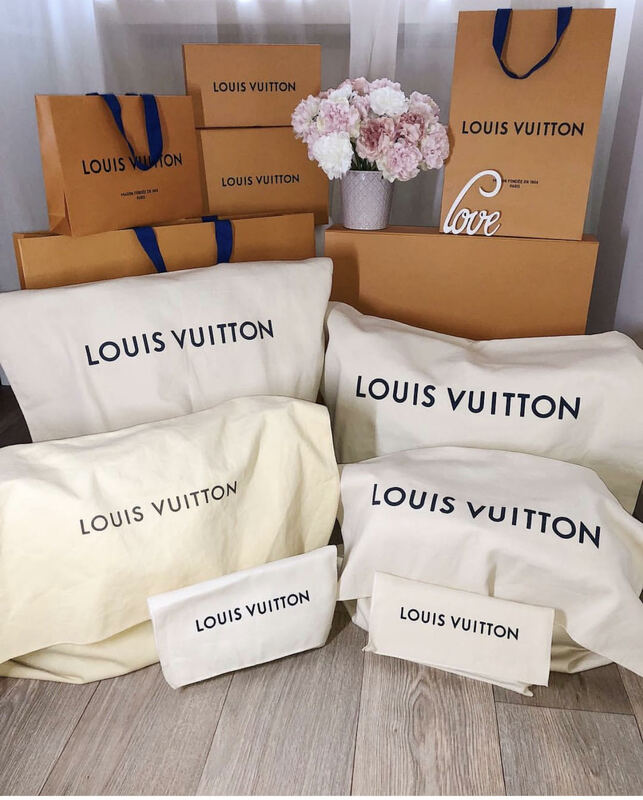 The most searched and sold Louis Vuitton bag is Louis Vuitton Neverfull. It’s so adorable that thousands of replicas were created to satisfy people who can’t afford the price of the original one. 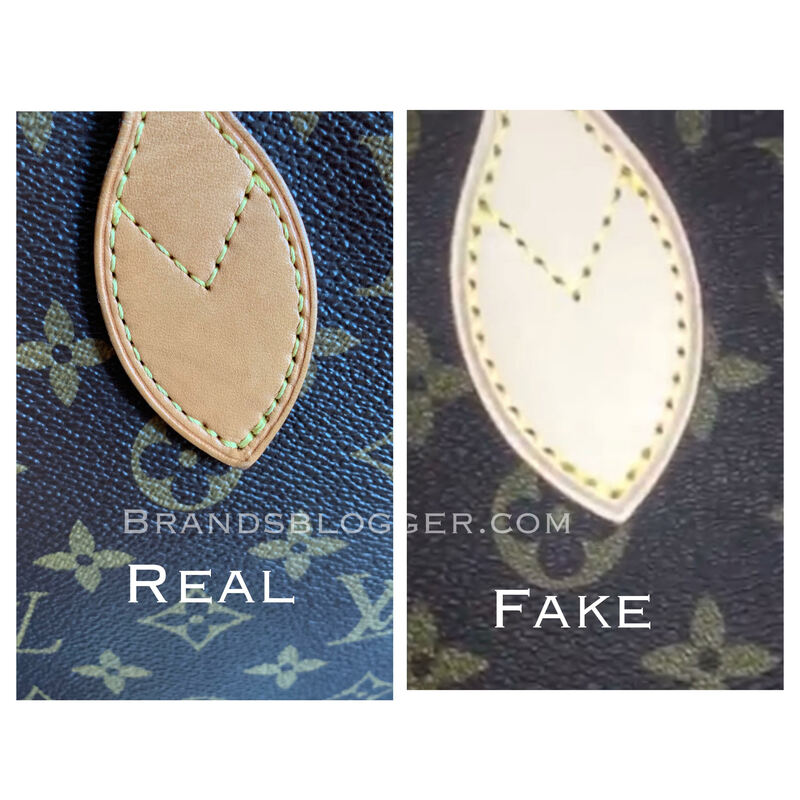 To spot the difference between them, today I’m talking about things you need to know before buying a Louis Vuitton bag, because a lot of people have bought replicas instead of an authentic one. A very important thing about this bag is the symmetry of its monogram pattern. It always start and finishes with the same symbol—following a mirror-like image, regardless of the position of the area. To make it easier I’ll demonstrate it with the picture below and you can easily notice the difference between the real and the fake. Lets take a look. Louis Vuitton is very careful when it comes to the stitching, normally having seven or eight stitches per inch. Fake ones usually don’t respect this measuring element. 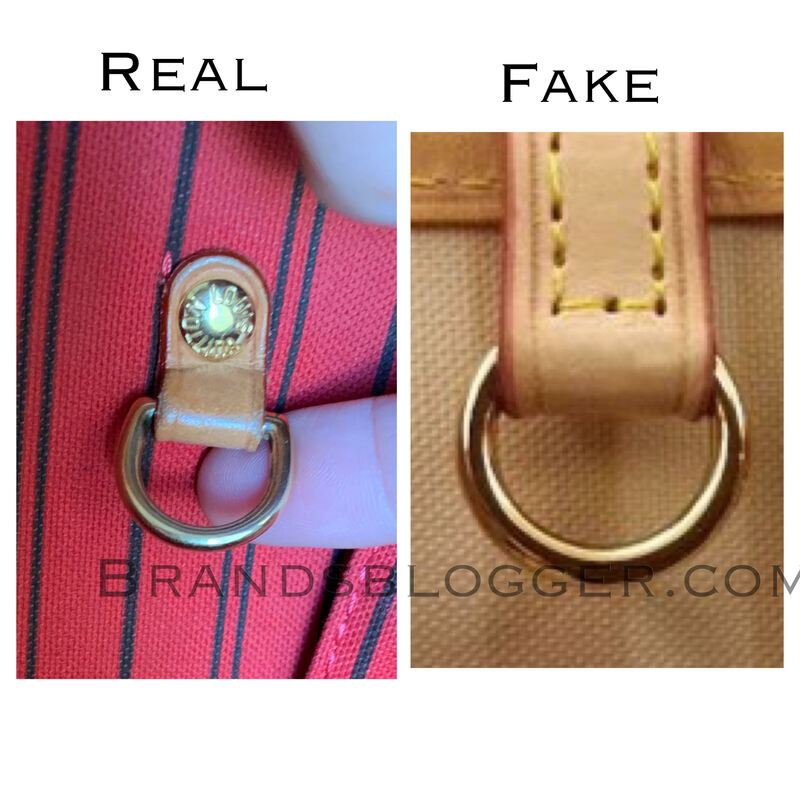 I took photos of my real authentic bag and later to the fake one. 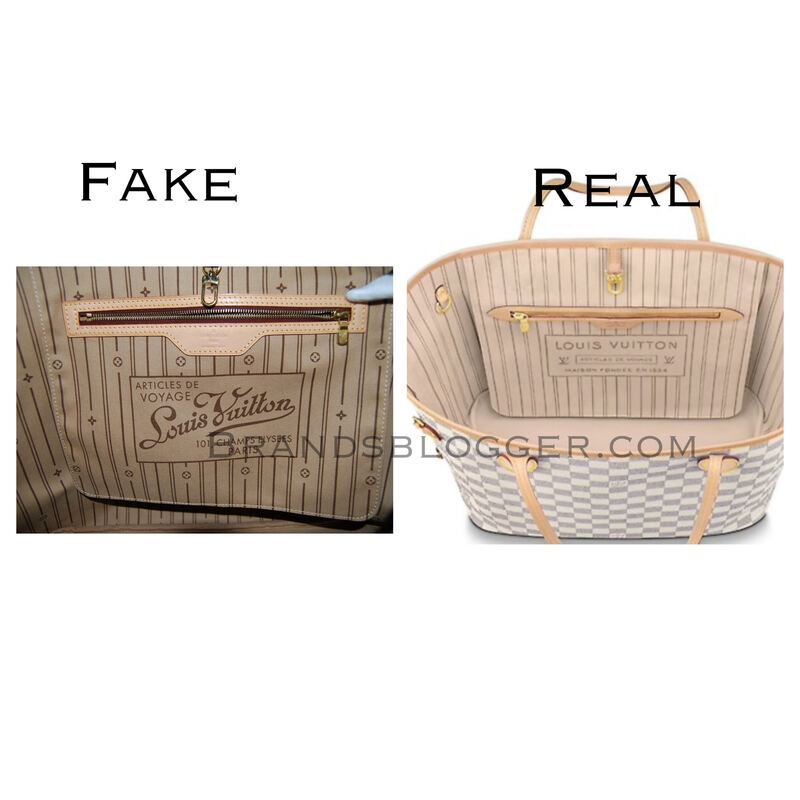 There are a lot of replicas and so will be their differences with the authentic bag. A very important thing and easily notable is the inside part of the bag. 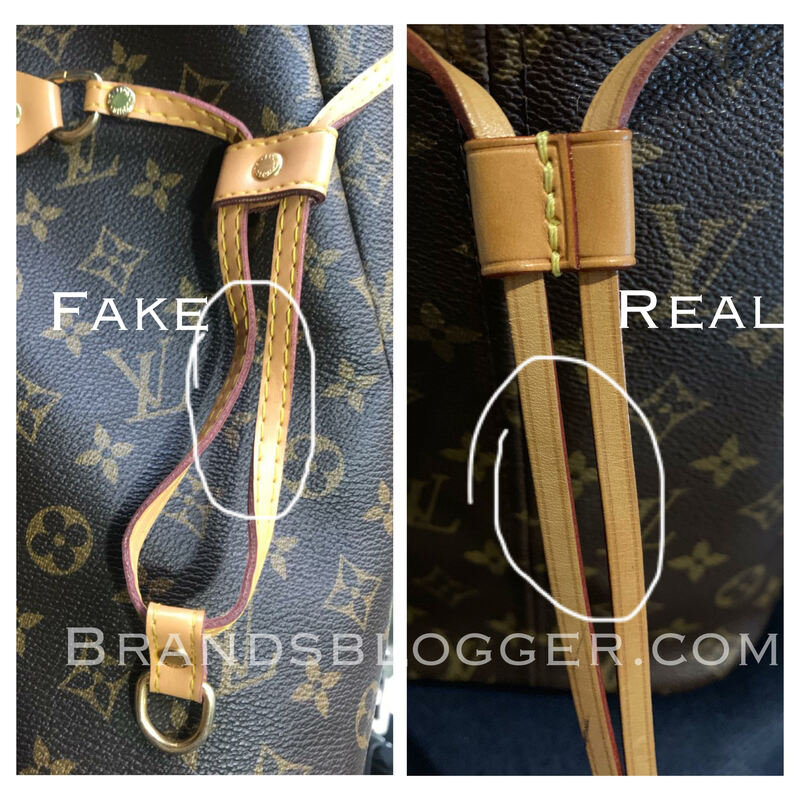 When the base or the bottom of the bag is single colored its ok, but if it has stripes or LV logos in the base than it is a fake. Lets check the photos. When we have to find the difference between letters, we find it very difficult to notice the fake bag. Why? Because you have no idea how similar are becoming the replicas nowadays. First you have to check the LO letters and after that proceed T or TT. First you have to check if the L letter is half of the O letter. Also check if the letters TT are sticky, because they shouldn’t be touching each other, shouldn’t be attached like sharing the letter T’s top line. In the picture below I’m demonstrating the authentic bag. 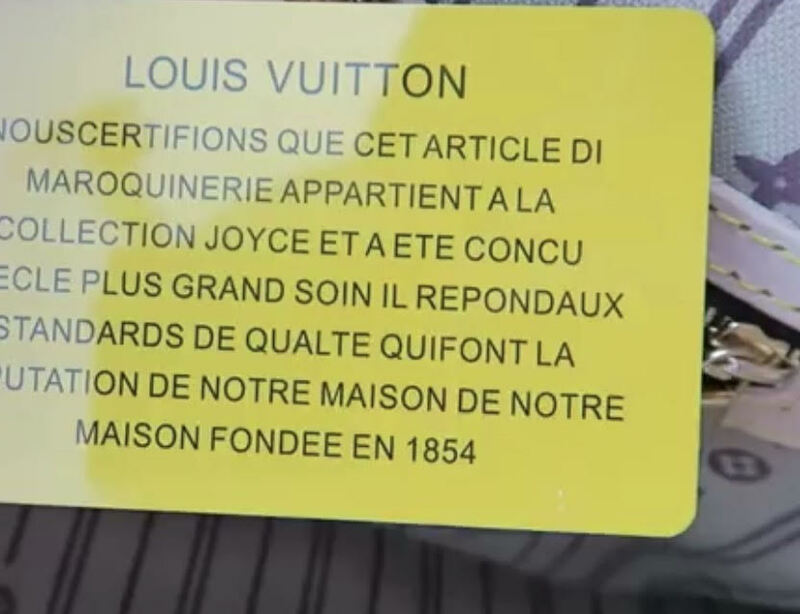 Every Louis Vuitton Bag has its own code. Those produced starting the 1990s have codes that consist of two letters followed by four numbers—representing the place and year of production. If a Louis Vuitton handbag is made in the USA it will have a code that can start with either FC, LA, FH, SD, or OS. If it is made in Spain (like mine, the one I’ll show you in the picture) starts with CA,LM, LO, LW, and LB. 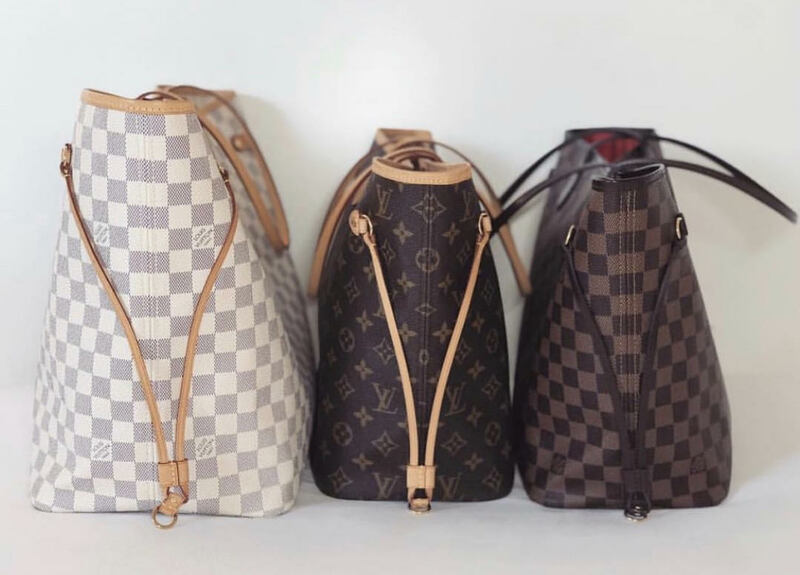 Another thing I wanna talk about spotting a fake LV Neverfull bag is the dust bag. There are lots of replicas dust bag and every single one has its differences from the authentic bag but Im showing you one of them. So if you see it, don’t buy it. So take a look at the authentic one and compare it with any other dust bag you can see. 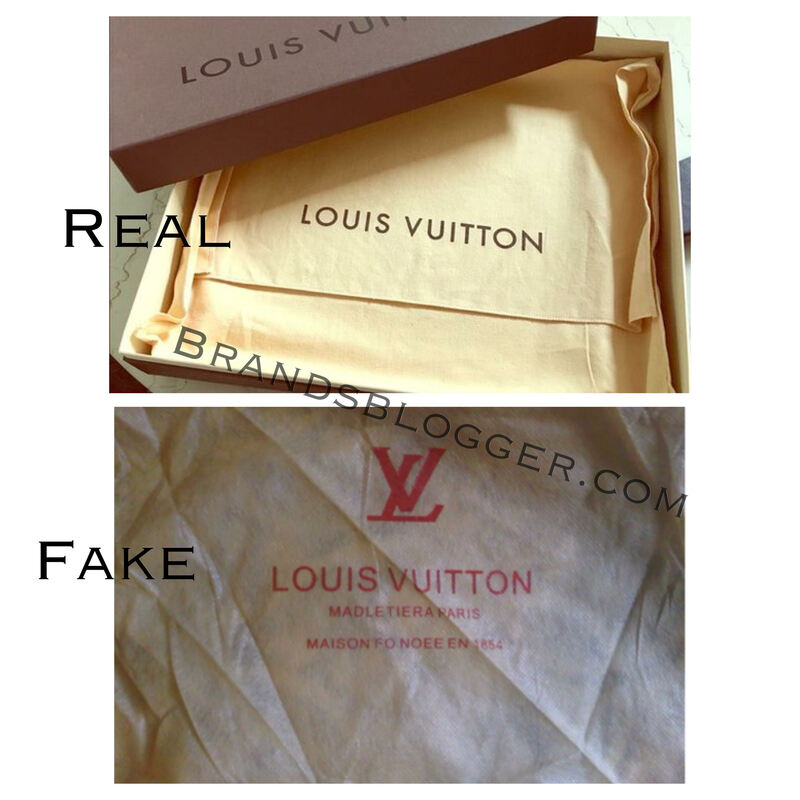 The color, the size, the material and the writting is important to spot the fake. 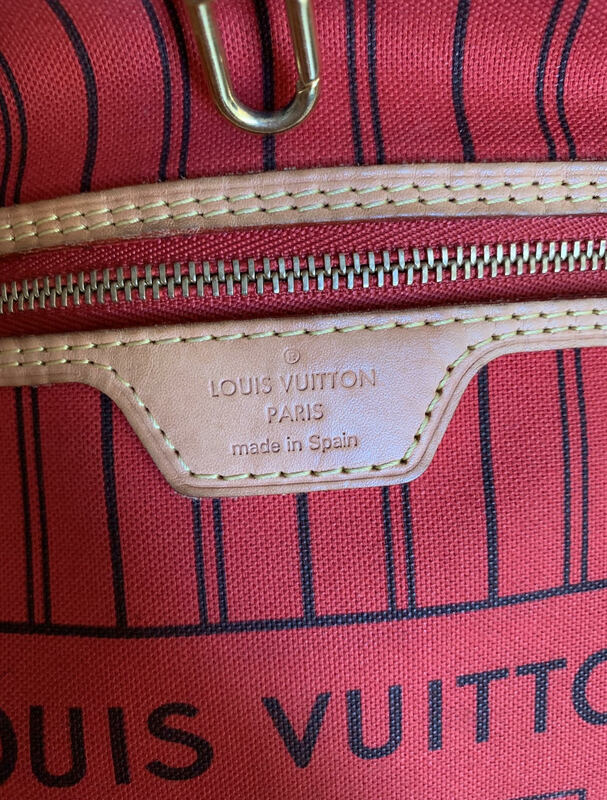 If you decide to buy a Louis Vuitton bag, it’s very important to check the invoice and the authenticity document if they give you one, cause it proves the bag authenticity. 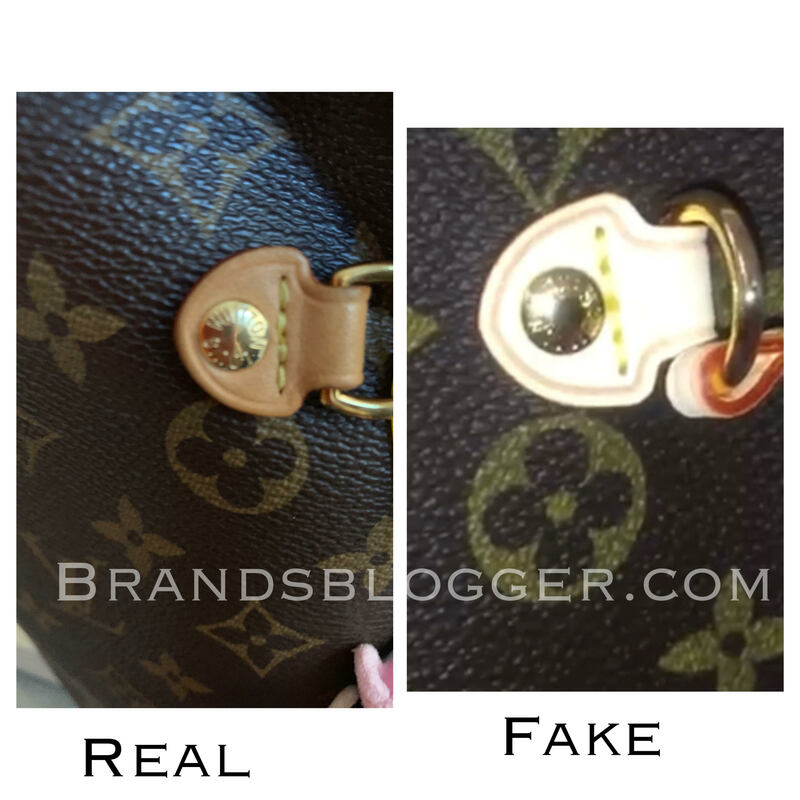 Be careful, Louis Vuitton bags does not have authenticity card. Be careful of fake documents. Here you have a fake one. If you are really observant at hardware than you can definitely spot the replica bag. I’ll show you some pictures in which you have to be very careful at the shape (the real one is like a D letter), color (is shinny and a gold) and size of the hardware. Lets take a look. At this photo it is very clear the difference in the shape, color and the stitching. In front of the inside pocket of the bag is this D-shape hardware, it is very easy to find spot it in the replica. 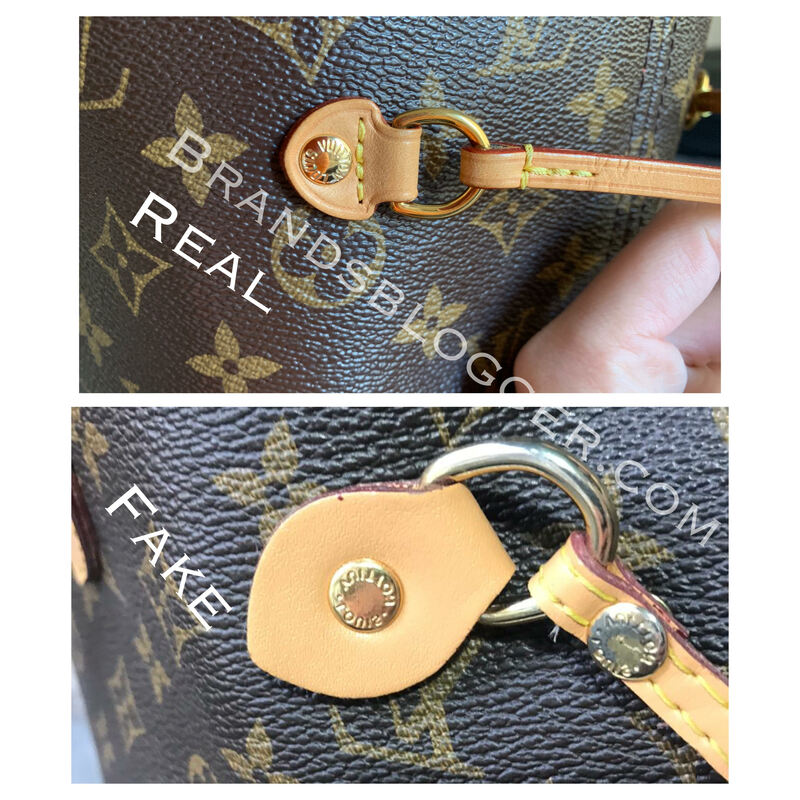 Here is a closer look, so you can easily see the real and the fake and if want to buy a Nervefull bag, after this pictures you can notice the authenticity or if it is a fake by your own in every LV bag. 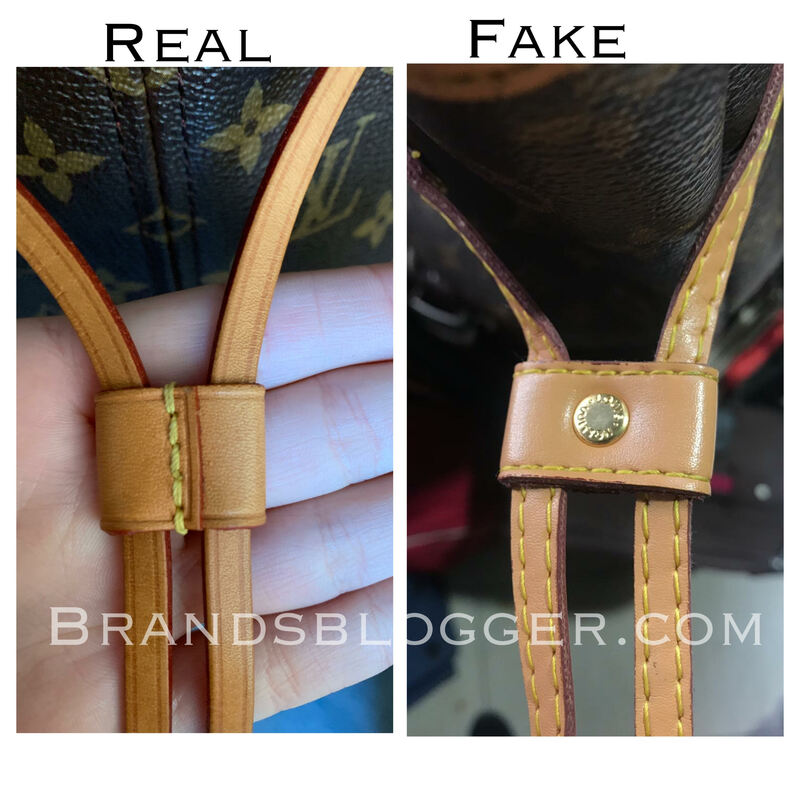 A very important part of our research for spotting the difference between authentic and replica Louis Vuitton Neverfull bag are the straps and the strings. Below I have shared some pictures for you and I hope they will be helpful. 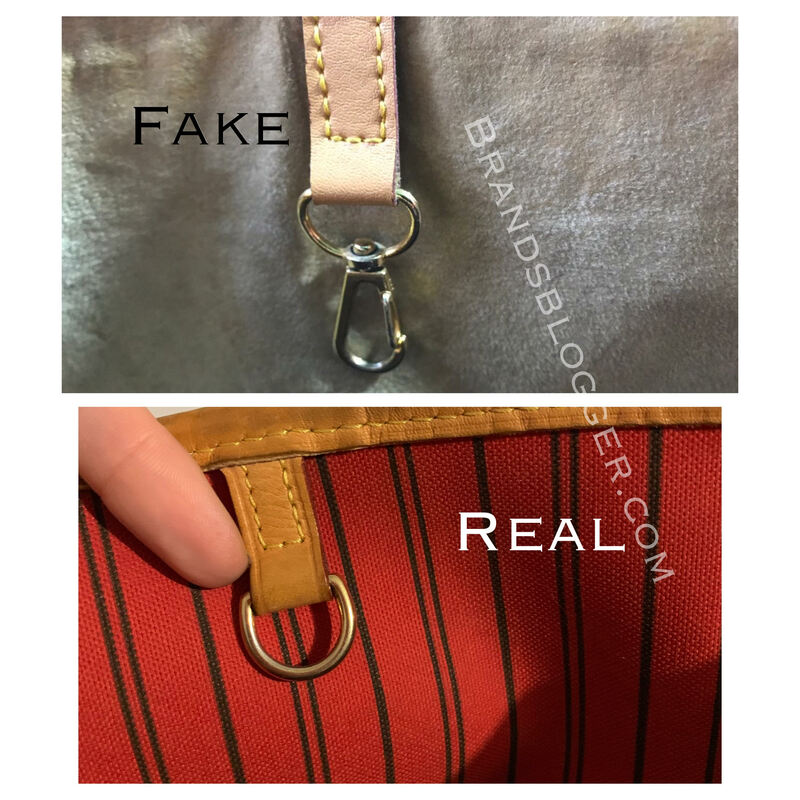 We talked for a lot of details about the differences in the replica and authentic bag, but we can’t let aside a very important difference which is the inside pocket of the bag and its details. 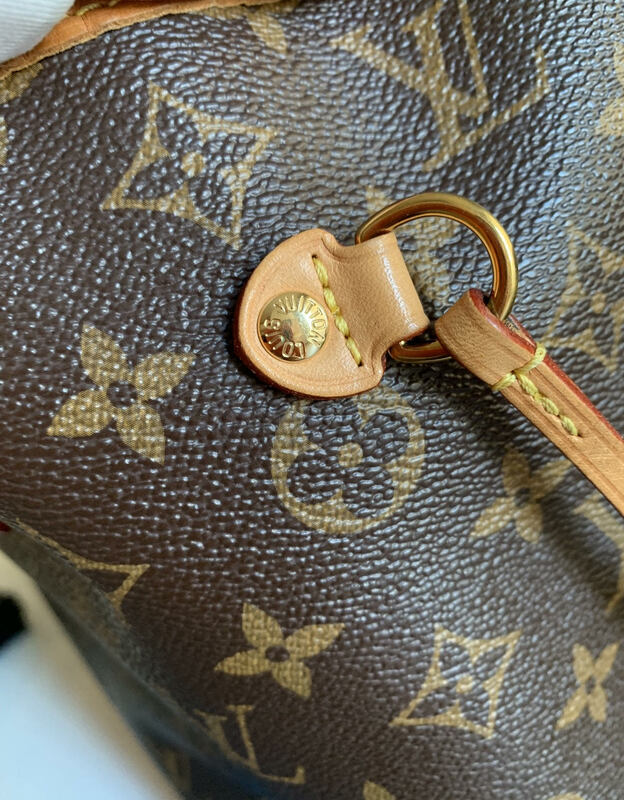 In the authentic LV Neverfull the pocket has a full length from edge to edge, while in some replicas the inside pocket is half the size of the bag. 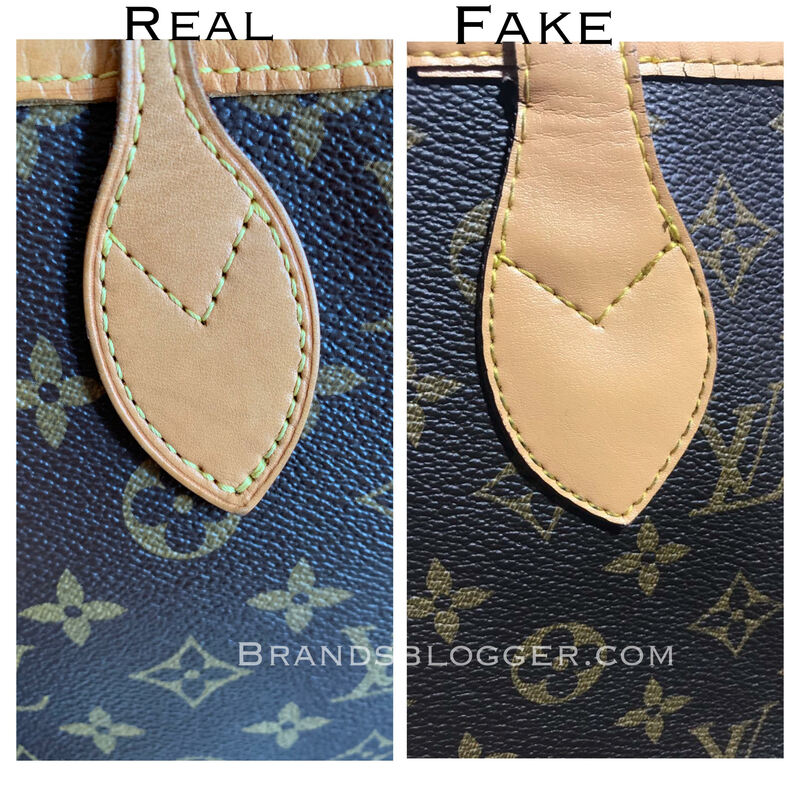 Some bad replicas have completely different kinds of colors, shapes, materials and size so it’s not hard for you to notice that it’s not an authentic bag. Here is an example. 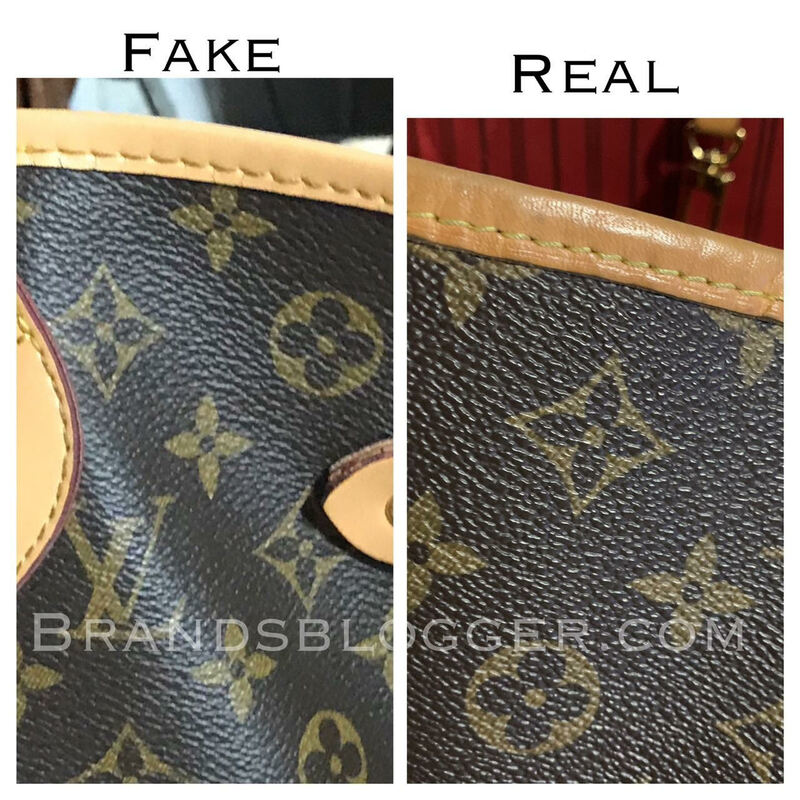 Maybe the shape sometimes deceive us when it comes to some good replicas, but here are the photos of the bag from the outside. 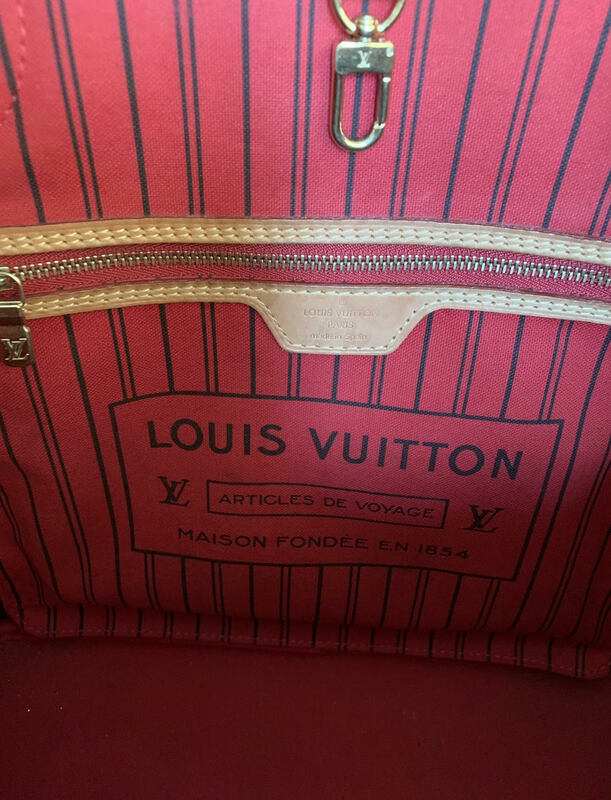 This was our guide in How To Spot A Fake Louis Vuitton Neverfull Bag. Thank you so much for reading this article. I hope it was helpful to you. If you liked it please leave a comment below with your opinion and questions, we would really appreciate it. Do you know that there are mirror quality replicas out there you might not be able to spot the different at all. 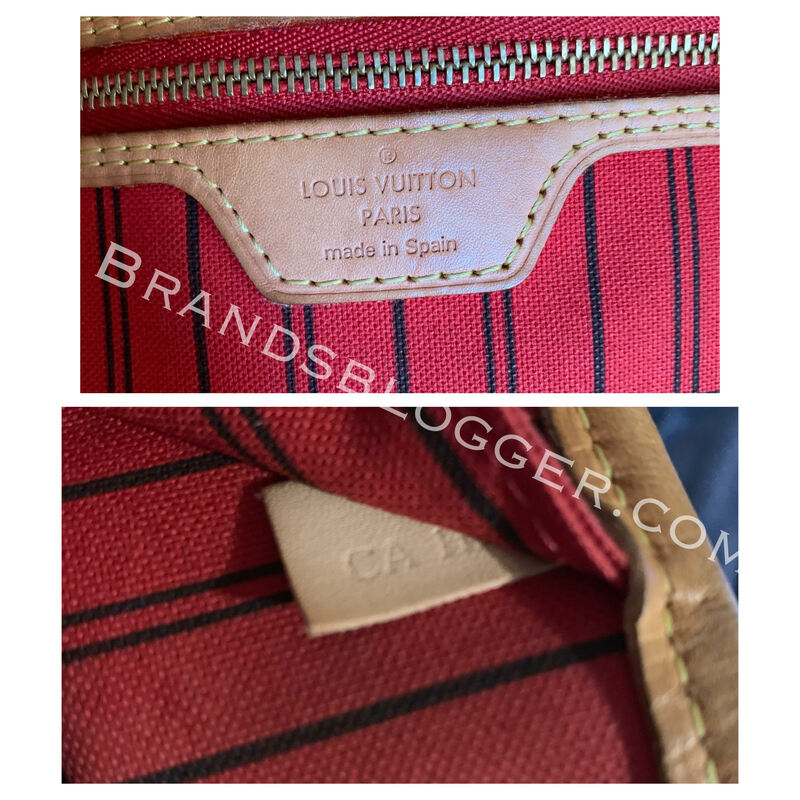 They made it by follow every detail of the authentic bags, even the code, the receipts. Totally the same. I’m sorry but reviews like this don’t help at all. 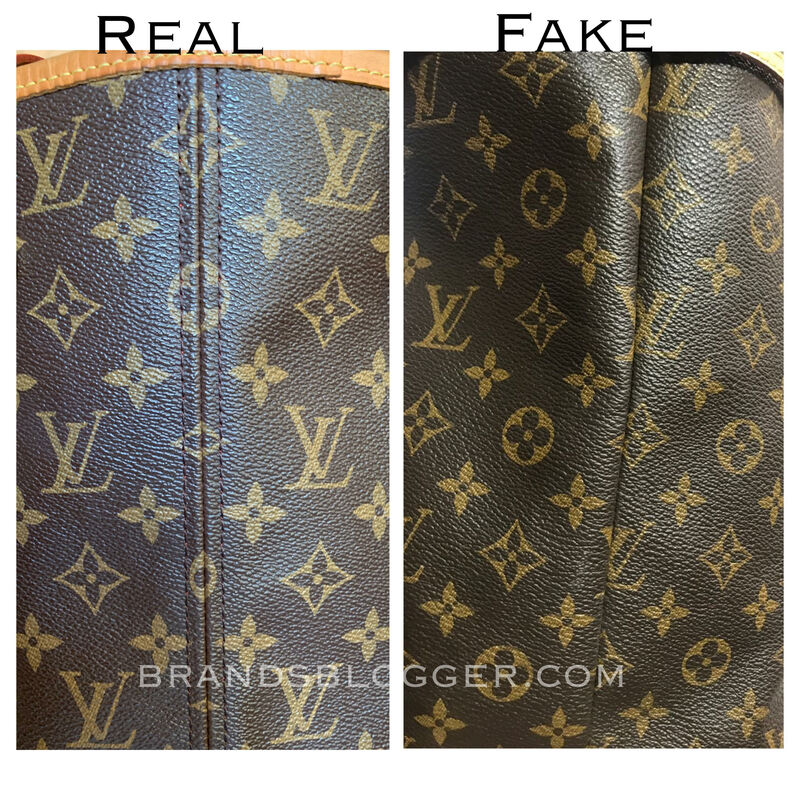 It’s actually a shame and pitiful at the same time for the luxury brands that they cannot stopped the counterfeits. 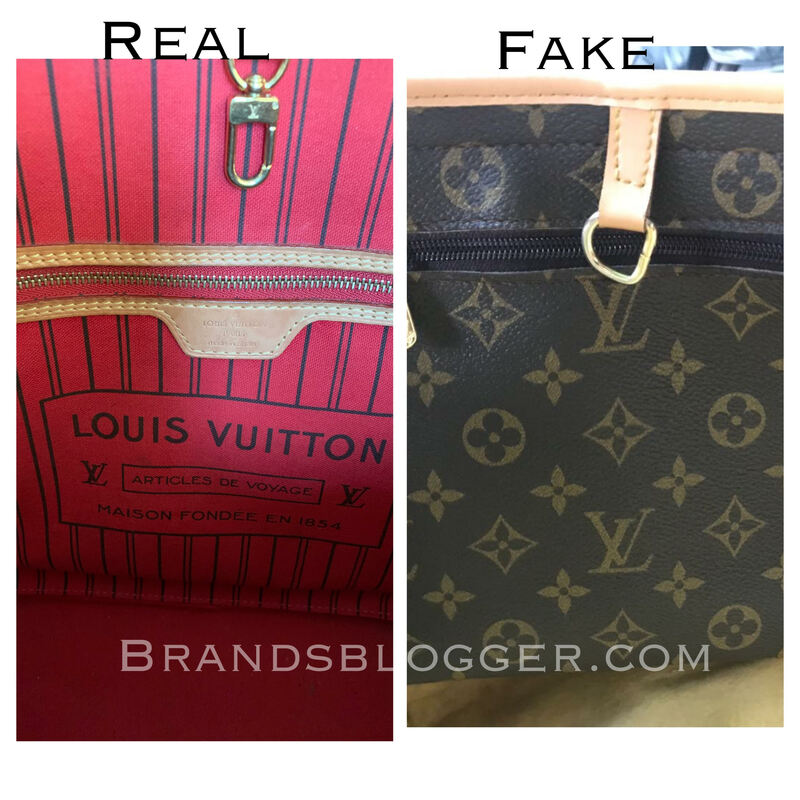 I know but we have reviewed the most common selling fake online. 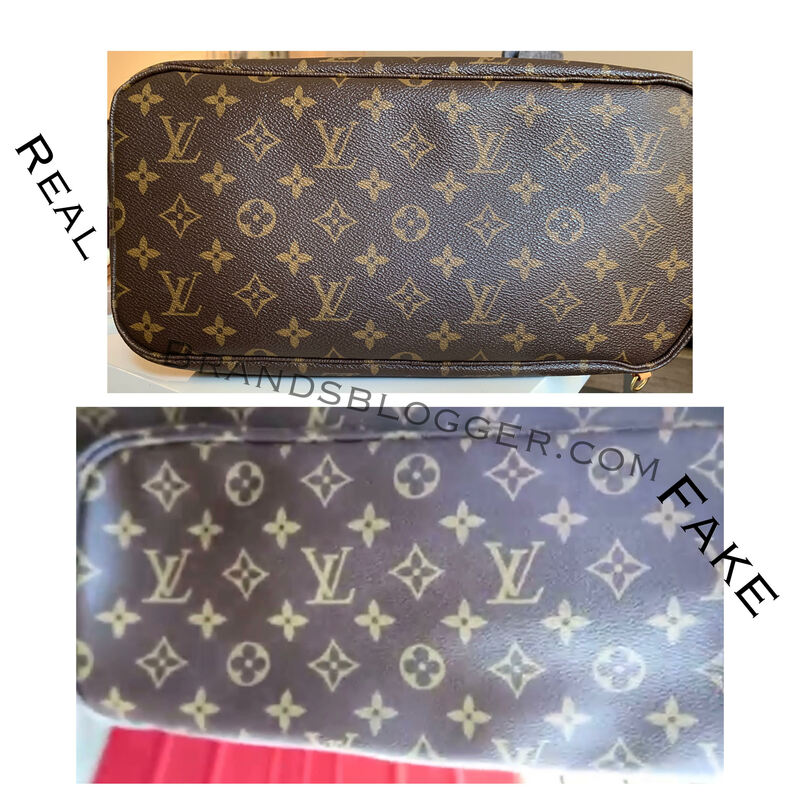 We have searched what fake item was mostly online and we made a review about it. I learned a whole lot from this article. Thank you for sharing.